Plenty more to come, but this will do for a snack tomorrow! 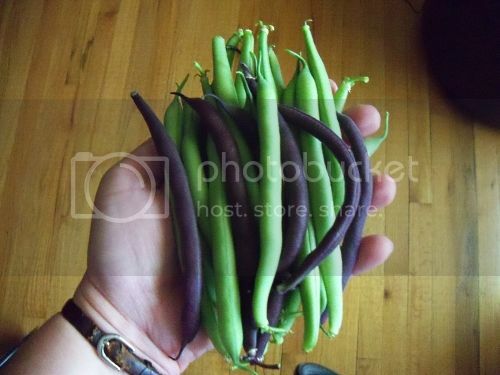 I had to look up what I ordered from Seed Savers, and I've got Provider and Royalty Purple Pod. I had some "holes" I filled in with Kentucky Wonder, so there'll be a few of those too later. Those look so tasty. It looks like you have very healthy beans there. I really must find space in my garden to grow some next year. Ummm, look so good! Enjoy!